It is commonly known that the majority of construction and remodel jobs are done in the spring and summer. But what you may not know is that the wintertime is great for more than snowball fights and the holiday season. Not only can home remodeling projects be accomplished in the winter but in some cases, the wintertime may be the best time of year to take advantage of certain benefits. Here is an informational guide to help you better understand the advantages of home remodeling in the wintertime and how to make any project work, even in the harshest of seasons. When Considering an Addition to Your Home, Look Up! Building upward with a custom design for a second story pop top could be your best option if you need more space. Consider a pop top if you love your home and your existing neighborhood, and really have no desire to move, but need more room. Whether your family is growing or you need a home office, sometimes adding on horizontally, isn’t possible. Whether your home is fairly new, or you have an older historical home, if the foundation is solid and the structure has great bones, the designers at Factor Design Build can find the perfect solution for you. We specialize in custom home additions in the Denver area. Making the decision to remodel or add on to your home can be both exciting and nerve-wracking. But never fear, Factor Design Build is here to help you every step of the way. Here are 9 tips from our experts to get you started. Investing in a remodel is a venture that benefits your quality of life for many years to come. 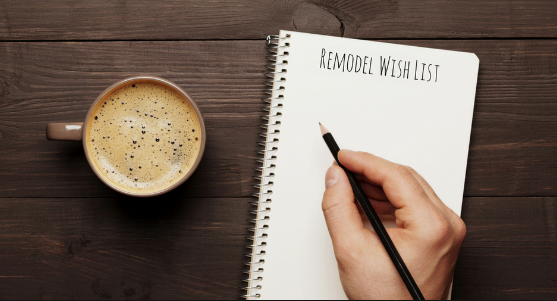 From simple, money saving upgrades and layout refinements to full-fledged additions, there are a variety of avenues to pursue when embarking on a remodel. While it may seem like a lot of work on the front end, keep in mind these reasons why remodeling your house now makes more sense in the long run. Homeowners have a variety of choices when it comes to altering the interior of their homes or investing in a full-on addition. Before making the decision to increase your home’s footprint, consider how you’re already using your space. Adding on to your house is a big undertaking that could offer you major benefits in the long run but there are incremental changes you might be able to make in the meantime. After much research, you’ve come to the conclusion that it’s time to start planning your home addition. When everything is said and done, adding onto your house will give you more space, improve your quality of life, and enhance the resale value of your property. Before moving forward with your home addition project, consider these key questions. At Factor we believe that remodeling your home will improve your quality of life, and we strive to make the process just as positive as the outcomes. But hey, you’re remodeling for you, not us. We get that. Our focus is on your unique situation to create smart, beautiful designs that improve your daily life. Creating inspired spaces starts with starting the conversation. Here are some tips for creating open communication and mastering your expectations. Remodeling is a complicated process and despite careful planning unforeseen changes can come into the fray. You will run into delays, you will find yourself behind schedule, you will make big decisions under pressure and you will become frustrated. This is an invasive process, and it might feel like a full-time job. Take the time to think and talk about everything you want with your contractors before you begin anything. Also consider all the angles: understand what implications are included with the construction process. Ambition is admirable, but when it comes to your home it can take on a life of its own. So much so that soon you are completely re-doing your entire home instead of coming to the decision that you should look for a new home entirely. Adjust your expectations and focus on what you can change in you space so that it can enrich you and your family’s lives. This can be a challenge, and talking about numbers can be a bit taboo and make you feel vulnerable. It helps to build up to the big “numbers” conversation if you are clear with the other decision makers in your house before discussing your remodeling budget with your contractor. Get clear about what you have to spend and where you can afford to splurge. A united front will make you feel supported and more confident in discussing something so personal. Once you understand your personal budget, you will be more comfortable discussing your fiscal expectations with a “stranger”. Contractors use this figure to gauge product selections for your project, and to make sure their recommendations are what you can afford. Remember we work for you, and we want you to be proud of your home. Explain how you want to utilize each room, provide pictures, show your contractor your Pinterest page, explain what lights you up about this project and what terrifies you! Pictures are worth a thousand words and allows the team you are engaging in an idea of what your aesthetic and personality is. As much as we or any other person might want to be at times, people are not mind readers. Never assume that someone else will know exactly what you are visualizing unless you explicitly explain it or lay it out. Transparency helps teams avoid mistakes, and will minimize disputes in the long run. There are going to be aspects of your project that take precedent. (I need more workspace in my kitchen…The kids need more storage in their bathroom) Then there are areas to be considered on the “Wish List” ( Custom cabinetry would look great, a marble island would really pull the room together). . Take the time to consider what is an absolute for your home vs. what you could save for another day. Make sure you are a good fit with who you are working with. Do you like their communication style? Do you think they hear you? Do you think this particular contractor that can achieve what you are looking for? Do you respect their problem-solving approach? If you are hesitant about any of these questions it’s okay to take a step back and start from zero. It’s understandable that you are anxious to get underway with this huge undertaking, but your future self will thank you for appreciating who you are most compatible with. Get a feel for who you are working with, their process, and their employees. 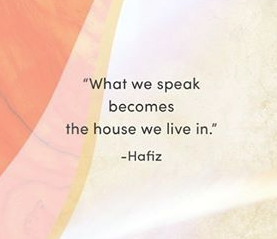 Remember, the end goal should always be to fall in love with your home all over again.